Home / TALK OF THE TOWN / Director Lasse Halstrom Gets Critical Praise for "A Dog's Purpose"
Director Lasse Halstrom Gets Critical Praise for "A Dog's Purpose"
One of the world’s most renowned directors, Lasse Halstrom is best known to audiences as the maker of such poignant but resolutely unsentimental films as My Life as a Dog, What’s Eating Gilbert Grape and The Cider House Rules. His newest film, A Dog's Purpose shares the heartwarming and surprising story of one devoted dog who finds the meaning of his own existence through the lives of the humans he teaches to laugh and love. “The film is both heartwarming and soul-shattering,” writes Ariel Scotti of New York Daily News. “Its theme of an unbreakable bond between man and his best friend is reminiscent of My Dog Skip, Homeward Bound and Old Yeller. 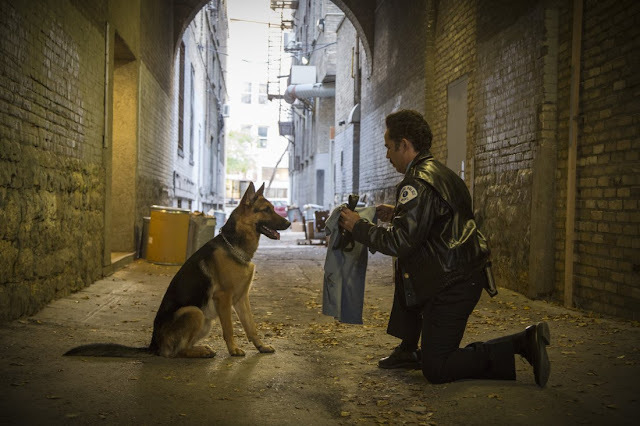 Based on author W. Bruce Cameron’s beloved best-selling novel, A Dog’s Purpose stars Josh Gad, Dennis Quaid, Britt Robertson, KJ Apa, Peggy Lipton and John Ortiz. Over the course of five decades, a single voice—that of an indefatigable dog—takes us along a riveting and uplifting path that speaks to the heart of anyone who has ever loved an animal. Although he is reincarnated in the bodies of multiple canines through the years, it is his unbreakable bond with a kindred spirit named Ethan that carries and inspires one dog throughout his journey to find a true purpose for his boy. Opening across the Philippines on March 1st, A Dog's Purpose is distributed by United International Pictures through Columbia Pictures.